I've always believed that a pizza is a blank canvas for culinary artists to pour their soul into and that each pizzeria is a gallery for them to showcase their unique style. Rose City Pizza, located in Rosemead, CA, has added a new pizza to their menu that is as delicious as it is picturesque with a name that aptly fits the occasion — The Manila Sunrise. 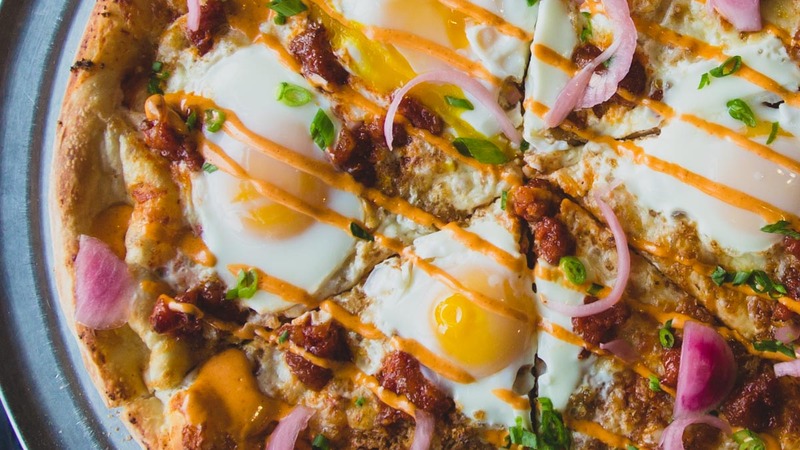 The Manila Sunrise is arguably one of the tastiest renditions of a breakfast pizzas I've had the pleasure of trying. 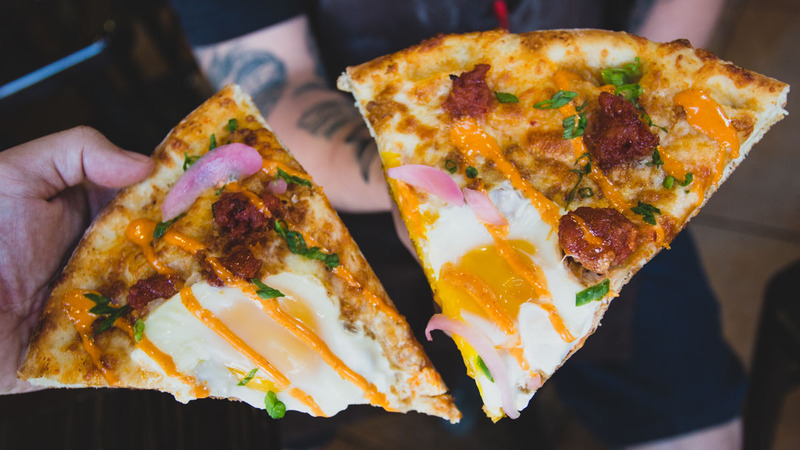 Rose City's pie is made with mozzarella cheese, garlic chili paste, fried garlic, fried onions, pickled red onions, eggs, and crumbled longanisa sausage. Conceptualized as part of a Filipino Pizza collaboration, Rose City garnishes the pizza with 7ti Sauce, a sort of spin on thousand island made with Filipino ingredients, crafted by food pop-up brand Grub Life. This isn't Rose City's first unconventional take on pizza. You may remember a while back when they debuted an Al Pastor pizza that went viral. They sliced meat straight from a spit directly onto the pizza and served it with garnishes you would find on an al pastor taco. Not too long ago, they even released a seasonal Spinach Artichoke Dip pizza. In the few weeks since the Manila Sunrise was introduced at the restaurant, the pizza has become a sleeper hit on the menu. Owner Brian Nittayo says that he plans to keep the pizza as a permanent fixture on Rose City's menu. Man, this pizza will not do my waistline any favors...but I absolutely plan on going back for it many, many times.